Maple Holistic is brand that provides a natural and holistic range of product. Pure and high quality ingredients are used in each product. 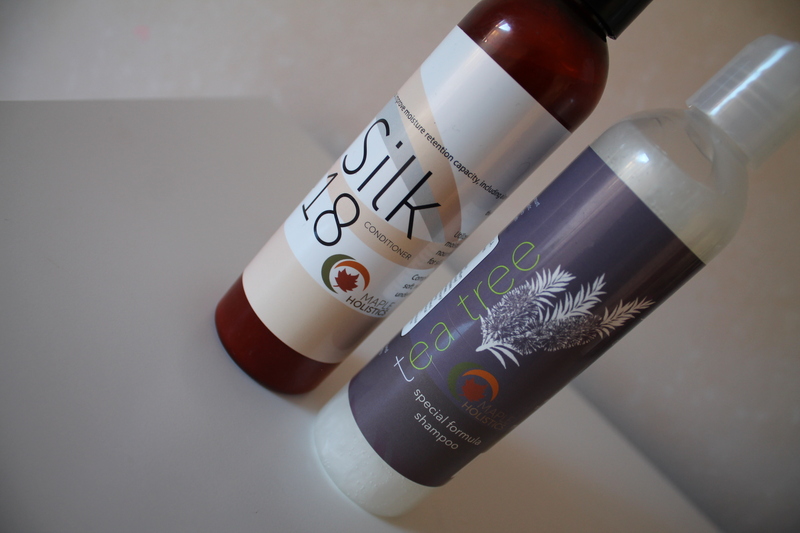 Maple Holistic offers hair care products, bath and body products as well as skin care products with natural ingredients.Recently I was sent the Silk18 Natural Hair Conditioner with Shea Butter & Jojoba Oil and the Natural Tea Tree Shampoo from Maple Holistic to try out. I decided to try these products on my natural curly hair (hair type 3c/4a). The shampoo is said to reduce dandruff and promoting healthy hair growth. 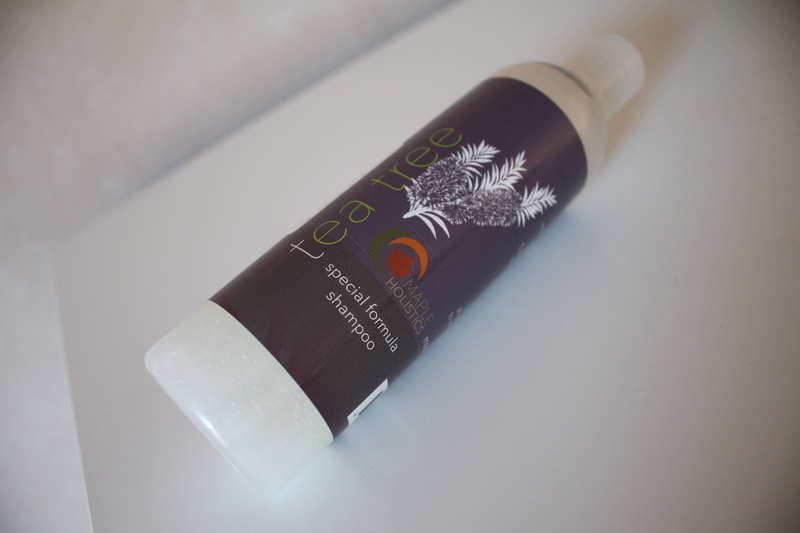 The Natrual Tea Tree Shampoo contains a mix of natural ingredients and essential oils such as jojoba and argan oil and tee tree, lavender and more. In addition, the shampoo is sulfate-free meaning no harsh and irritating chemicals .These products are said to help stimulate cell renewal and healthy hair growth. Since my natural hair regime consist of a combination of different natural oils, I prefer using a shampoo for dandruff to remove product build up on my scalpe. The first thing I noticed when using the shampoo was the fresh scent. Another thing I noticed when rinsing the shampoo was that I had no oils left in my hair. With some shampoos I need a a second round to get rid of all the oils, however with this shampoo I only had to use it once. 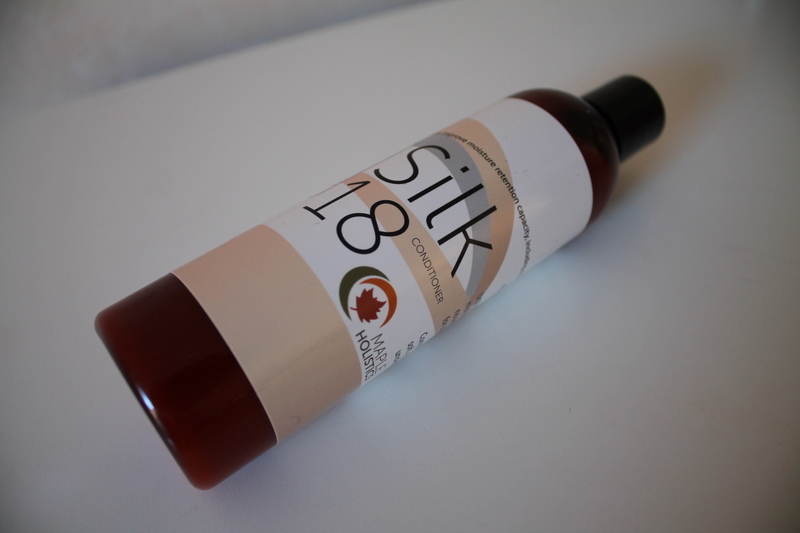 This conditioner is described to be effective on all hair types, The Silk18 Natural Conditioner is the all-in-one conditioner which contains a combination of nature’s most conditioning ingredients such as shea butter, jojoba oil, green tea and more. These products combine is said to stimulate hair growth, strengthened your hair as well as keep your hair moist. The first thing I noticed was the nice vanilla scent. After the first application of the conditioner I rinsed the hair in lukewarm water and noticed my hair was dry. I then applied the conditioner again, rinsed it and found my hair was still dry. I ended up using one of my regular deep conditioners to give my hair moisture. Overall I like the fact that the products consist of all natural ingredients. I like the shampoo and will definitely use it more. The conditioner on the other hand did not work for my hair type, since my natural hair is thick and coarse it requires a conditioner which will moisturise my hair. Unfortunately, the conditioner will not work for coarse afro hair, but I would definitely recommend the conditioner to people with straighter hair textures. Maple Holistic has a new awesome promotion running on their website which will give you free products. They are currently looking for consumers to leave honest reviews and as a thank-you they will send you a free product of choice. Check out the website for more information about the promotion http://www.mapleholistic.com. Have you tried any products from Maple Holistic? Disclaimer: The review is sponsored by edumuch.com, . Thanks for the review! I’ve been on a natural/organic shampoo and conditioner kick lately, so I’ll definitely check them out! I’ve never tried this brand but I’m going to keep my eye out for them!